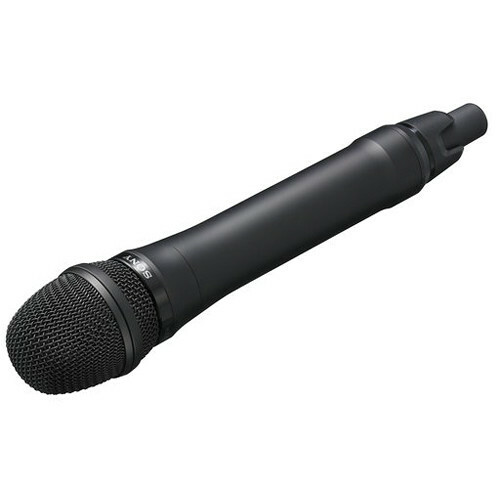 The Sony DWM01/C3142 Digital Wireless Handheld Microphone is intended for use with Sony wireless transmitters operating on compatible frequencies. The transmitter features high intelligibility and a wide frequency response that is well suited for capturing speech. It features a switchable 1, 10 or 50mW RF output for increased range, and can operate up to 5 hours on two AA batteries. Note: Due to the FCC's recent auction of wireless frequency bands, as of July 13, 2020, any wireless microphone system operating in the 617-652 MHz band or the 663-698 MHz band must be retired from service. As this product operates within those bands, it cannot be used after that date. B&H strongly encourages you to consider the future-proof bandwidths available for this system. Please contact our live chat team or call us at 800.606.6996 for more details. Box Dimensions (LxWxH) 15.0 x 5.5 x 4.0"